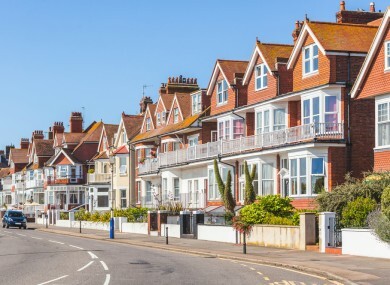 THE GOVERNOR OF the Central Bank, Philip Lane, has said that the government’s help-to-buy scheme is driving house prices up. Yesterday, two housing reports from Daft.ie and MyHome.ie showed that house prices and rent rates had been driven up dramatically compared to the three previous months. In response to a query by Fianna Fáil’s Michael McGrath during questioning by the Finance Committee, Lane said that the impact of the help-to-buy scheme was ‘of course’ to drive up house prices. He went on to say that this could be just a short-term effect, and that the long-term effect of new houses and an increase in supply could ‘self-correct’ the market. But he questioned whether the €20,000 grant to first-time buyers for buying new builds was the best way to fix the housing crisis. Sinn Féin’s Pearse Doherty brought up a previous statement by the Central Bank, saying that they would act if there were signs of another housing bubble or spiralling house prices. How long would that trend have to continue for the central bank to intervene? He added that in debates about affordability, the mortgage market is only one slice of housing affordability. He said at the end of 2016, mortgage rates were not going above the threshold of 3.5 times the income level. Credit rules are not about solving the affordability problem in this country. You can watch proceedings here on Oireachtas TV. Email “Help-to-buy scheme is 'of course' pushing up house prices - Central Bank”. Feedback on “Help-to-buy scheme is 'of course' pushing up house prices - Central Bank”.